Even at the best of times, the idea of running can seem like a bit of a chore, especially if you’re tasked with running on a gradient. But while the idea may not be the most appealing, it actually has several untold benefits on the body which can accelerate your results and make working out easier! London-based Fight City Gym offers gym-goers of all ages, backgrounds, and experience an enjoyable way of fighting fat and building stamina through their range of unique training programs. Mani Johal, Director of Fight City Gym, reveals the five reasons why running on an incline is better. 1. You become stronger – when compared to flat running, going uphill changes the behaviour of muscle engagement. Running uphill requires a completely different posture; leant forward, bent knees, contract hips and using muscles on the back of your legs. It’s an unusual position to be in and requires a lot of strength to sustain. Hence, running uphill makes you stronger. 2. You become faster – the development of these muscles in the legs will not only make them stronger, but it will also make you faster. When it comes to developing speed and muscle power, there’s nothing better than uphill running. If you’re looking to develop your explosive power, try high-speed interval sprints on an incline. You’ll be taking over those park runners in no time at all! 3. Your burn more calories – given the amount of effort it takes to run on an incline, it’s unsurprising to learn that it burns far more calories than flat surface running. Research suggests that for every one per cent incline grade added to the incline, ten more calories will be burnt per mile. If you’re looking to shed a few pounds, incline running may be the best solution. 4. Reduced injury risk – increasing the treadmill’s incline increases the intensity level without increasing stress on the body’s joints. 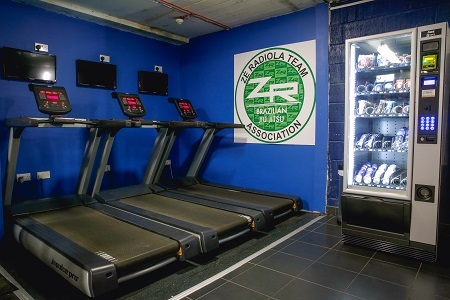 According to research by the Journal of Sports Science and Medicine, increasing treadmill incline by three per cent reduces the impact that the legs must absorb by about 24 per cent. If you are struggling with a sports injury, incline running can aid recovery and prevent further inflammation. 5. Decreases workout time – in today’s busy world, it can be tough to find the time and commitment for a workout. However, if you’re working out on an incline, you are getting two times the benefits that flat surface running has and, therefore, it’s possible to trim down your workout time significantly. Time is a valuable thing in today’s society, so make the most of yours.